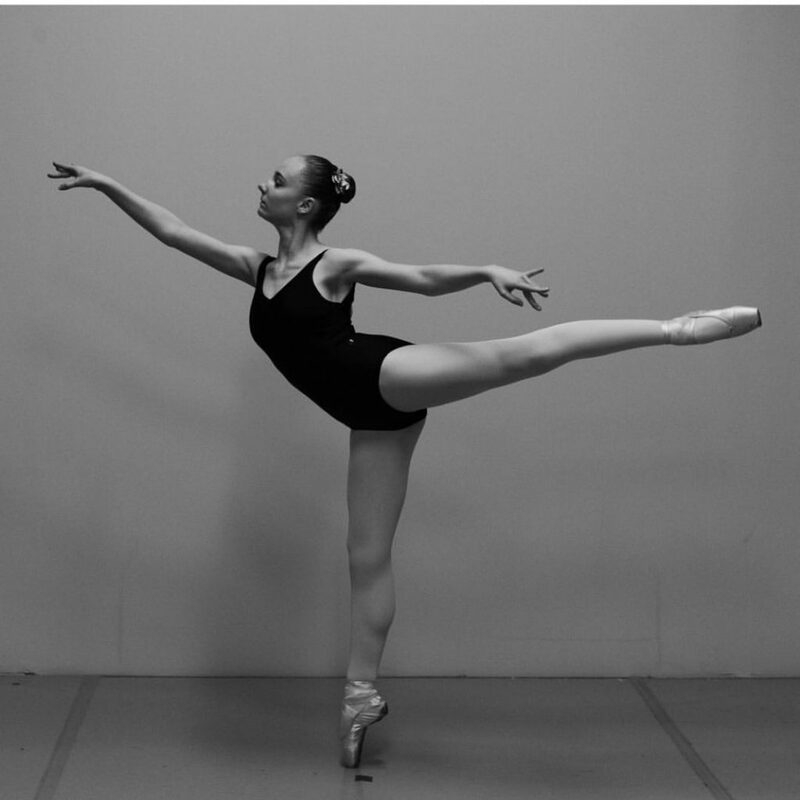 Aly Rutherford is a Pioneer Valley Ballet alumnus and is currently student at Muhlenberg College in the Lehigh Valley of eastern Pennsylvania, working towards a double major in international studies and religion. She danced with PVB for four and a half years, having picked our training program because it gave her the opportunity to perform several times a year. First, “One of my favorite memories is when I hit a double pirouette, which I continually struggled with, during my solo in Cinderella, and everyone who saw it went wild. I got hugs, words of congratulations, and the head nod of approval from Tom. “Another favorite memory is actually when I almost face-planted on stage. It was during my senior year Nutcracker, I was performing Spanish and completely misjudged my pirouette and I slipped, but luckily was able to catch myself. The great part of this memory is when I went off stage and Maryanne was standing in the wings and just shook her head, laughed, and patted me on the back. It was great because it just reinforced the community that I had around me. She reflects that PVB is a place that will allow a dancer to grow. While at times PVB will hold your hand, at other times they will push you, all of the time teaching you responsibility and maturity. 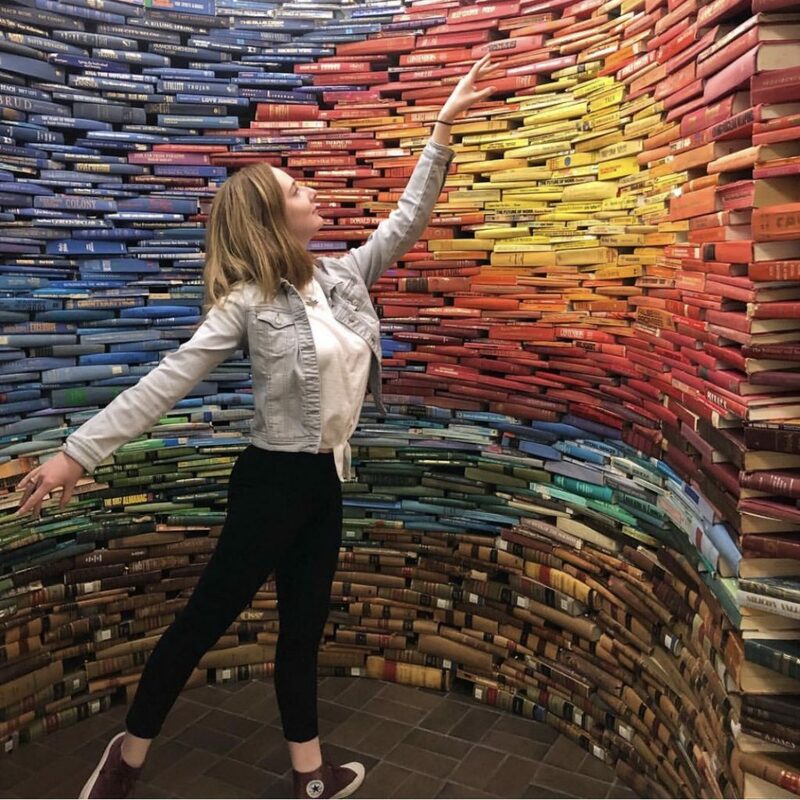 Aly brings with her into the world all of the life lessons she experienced at PVB, but feels that the most influential lesson learned is to always act respectfully and with kindness.